Frida Portraits stamps offer great additions of this iconic artist to your Journals, Mixed Media and Collage pieces or to a Scrapbook Page. Shipping upgrade: Priority mail is $6.10 for as many stamps as you would like. If you are outside the U.S. we offer First Class International Mail at check, we will refund postage cost over $1.00 out OR please let us know: what you would like and your mailing info and we can give you a mailing cost quote for your order. 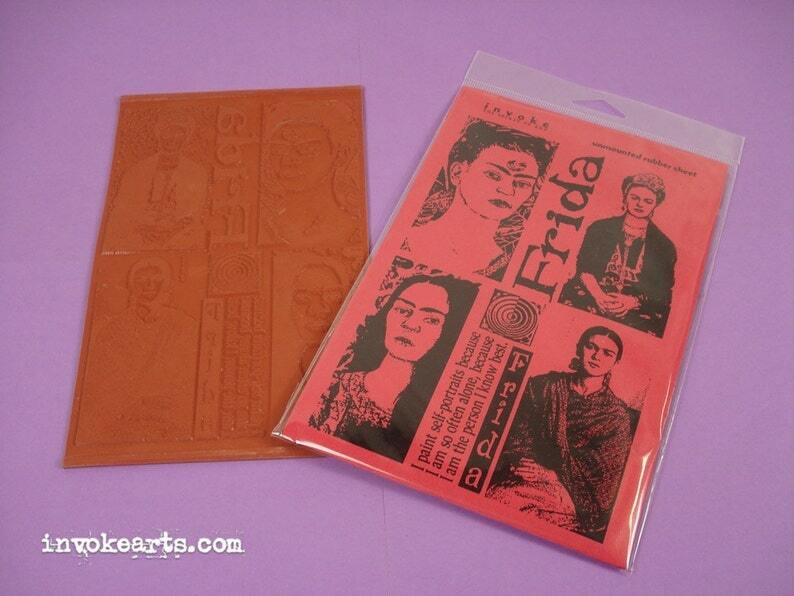 Absolutely love the Frida stamps!